Are you an overwhelmed mom who has a desire to be more engaged in social and political advocacy and activism? Then this book is for you! First, you'll learn there are many ways to get involved and be a part of the solution. Then, you'll be guided on how to get involved at every level (large or small). Finally, the book features “How-Tos” like getting to the polls (even with kids in tow), contacting your local representatives, and researching the issues you care most about. Free Shipping and Autographed copy! Heather Vickery and other amazing moms share their experiences and stories of social activism, and how they’re raising tiny activists. 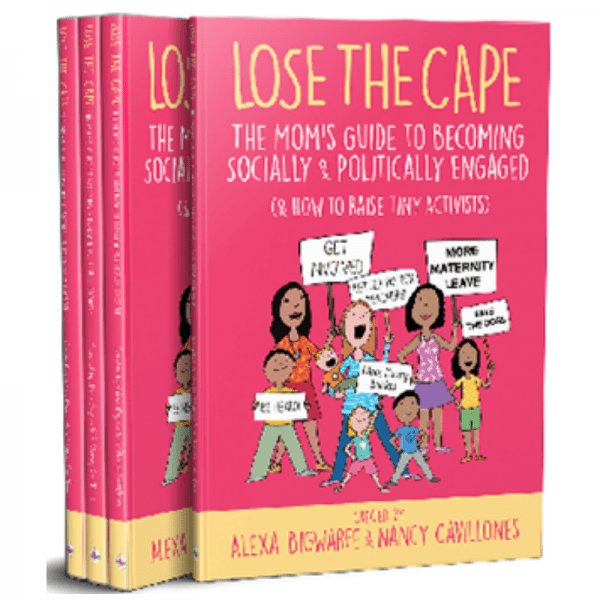 The book is a collaborative effort from the ladies behind Lose The Cape Podcast and Resources for Busy Moms. 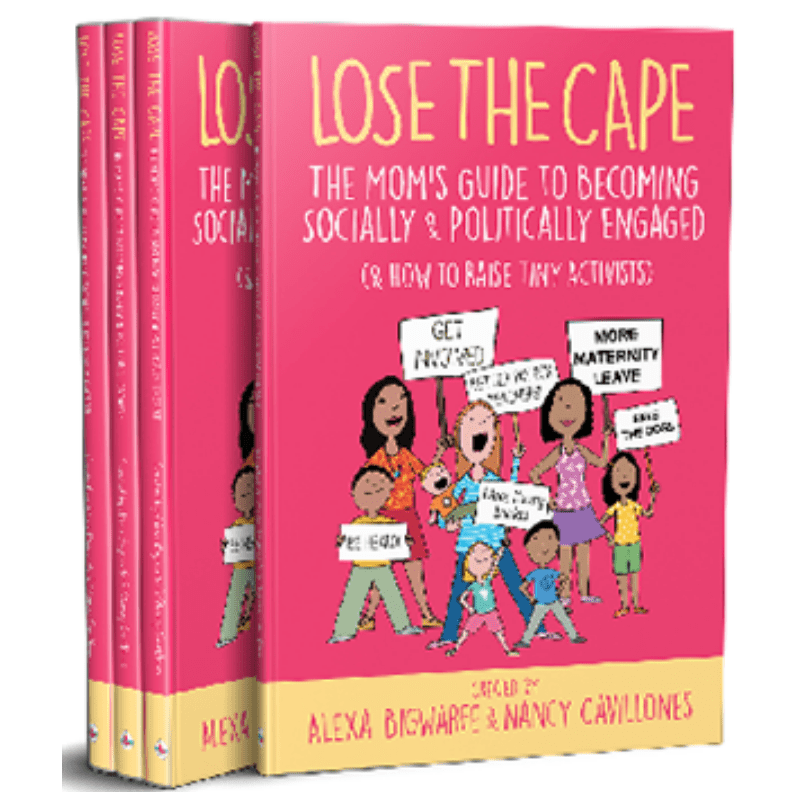 The Lose the Cape: Mom’s Guide to Getting Socially And Politically Active. Do you want to be part of the bigger picture for social change? Maybe be part of the process creating this change? Are you currently advocating for your children, spouse, family, school, yourself or are you overwhelmed by all of it and have NO idea where to start? It's a compilation of stories from moms who want to be more involved and who want to set the example for their children so you all can get involved! from hosting small events to make food for the homeless to launching a magazine to bring awareness to a topic, to grassroots rallies and organizations, this book is full of women who want to make a difference and show their kids why it's important to be involved and SHOW UP. If you want to learn how other mothers are getting involved, showing up, advocating for their children, and becoming activists when needed, grab your copy today!